Road markings are essential to our roads. Car park markings are just as important when it comes to safety. When a client or customer is visiting your business it is most likely that they will visit your car park. 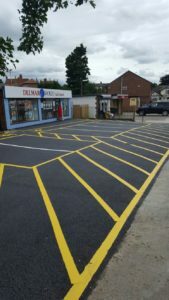 Is your car park looking its best and giving the right first impression? 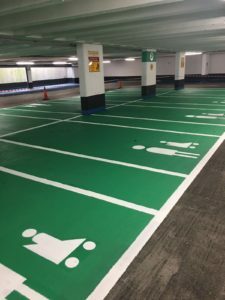 We are able to cater to your needs such as introducing disabled bays, parent and child spaces and a host of other car park signage to ensure that your car park is friendly to customers who visit, and no job is too big or too small for our team. Our customers come first, we provide the best possible service for you and your needs, get in touch if you would like to know more about what we can do for you, you can fill out our online contact form and a member of the team will be in touch shortly.